With an evident deep respect for hill country blues, Backsliders guitarist Dom Turner and harmonica extraordinaire Ian Collard team up here to pay homage to this most primal of genres, and to one of its icons, ‘Mississippi’ Fred McDowell. Tunes from the likes of McDowell, Blind Willie McTell, Sleepy John Estes and Leadbelly (whose version of ‘Gallows Pole’ this pair reinvent in their own ragtag style) adorn the set, lovingly recreated and stamped with the trademark sound these two have forged over decades of playing this music; Collard’s rolling harp work, Turner’s rusty-stringed style of playing, adding to these classic tunes an invigorated sense of urgency. 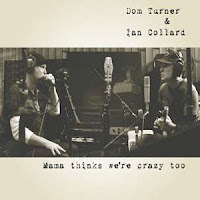 Turner and Collard show here why they’re at the forefront of blues in the modern age, re-crafting these songs with a passion that will never die. 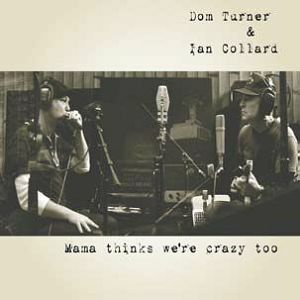 Mama Thinks We're Crazy Too is available now through FUSE Music Australia.